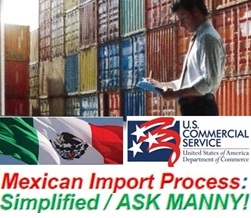 The U.S. Commercial Service helps U.S. businesses find Mexican buyers and exports partners. With a network of three offices throughout the country, our Trade Specialists are experts on the business environment in Mexico, we can also assist with your international selling strategy through our different services. Come to Mexico and exhibit your products/services: Trade Events are a great way to reach the right Mexican buyers! Register with your Trade Specialist and be part of our U.S. Pavilions! Mexico is open for your Business!